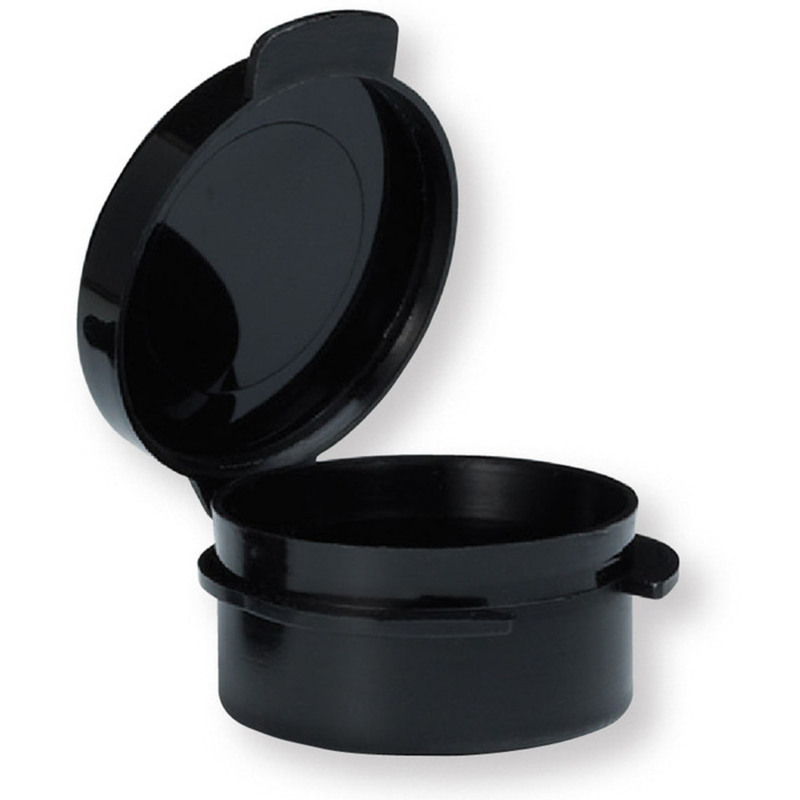 Use this 5 gram black round hinged jar to provide your customers with convenient take home samples of your cream, lotion, serum or powder based product formulas. The hinged container easily snaps shut to secure the product inside. Measurements: 5 gram, 5 mL., 0.18 oz.